MACKELLAR, PATRICK, military engineer; b. 1717; m. Elizabeth Basaline, probably on Minorca, and they had two sons; d. 22 Oct. 1778 on Minorca. Patrick Mackellar entered the Ordnance service as a clerk at Woolwich (London) in 1735 and four years later was promoted clerk of the works and posted to Minorca. He soon displayed an aptitude for military architecture and engineering, which was officially recognized on 7 Dec. 1742 when he was granted a warrant as practitioner engineer. 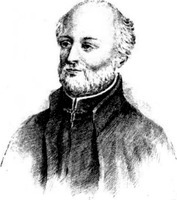 Thereafter he was employed in improving the defences of Port Mahón (Mahón, Minorca). He had risen to the rank of engineer in ordinary by July 1751. Recalled to England in 1754, Mackellar was promptly dispatched to North America and was first employed on active service when he took part in Major-General Edward Braddock’s expedition against Fort Duquesne (Pittsburgh, Pa) in 1755 [see Jean-Daniel Dumas]. He was severely wounded in the battle of the Monongahela on 9 July, but by the following spring he was at Oswego (Chouaguen) as chief engineer of the frontier forts. Mackellar was ordered to replace obsolete fortifications at Oswego but his task was far from complete when the post was captured on 13–14 Aug. 1756 by a force under Montcalm*. After some months as a prisoner of war at Quebec and Montreal, Mackellar was exchanged. 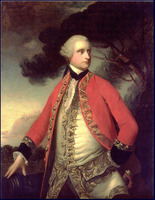 He returned to Britain early in 1757 and on 14 May was commissioned captain in his corps. On 4 January of the following year he was promoted sub-director of engineers and major and was appointed deputy to Colonel John Henry Bastide*, chief engineer in Jeffery Amherst’s expedition against Louisbourg, Île Royale (Cape Breton Island). The British forces disembarked near the fortress on 8 June, and one month later Mackellar succeeded Bastide, who had been wounded. 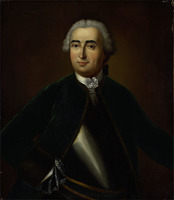 Although James Wolfe* was impatient with the slow progress of the siege, it appears that not a little of the credit for the capitulation of Louisbourg on 27 July was due to Mackellar’s professional skill. A few months later Mackellar was selected to serve as chief engineer in the expedition Wolfe was to command against Quebec. Mackellar was uniquely qualified for his new post. Not only was he highly respected in his profession but, following his release from imprisonment, he had submitted to the Ordnance Office a detailed report of the topography and defences of Quebec, together with a map of the area. Although much of his information was inaccurate or out of date – the original of his map had been included by Pierre-François-Xavier de Charlevoix* in his Histoire et description générale de la Nouvelle France . . . (3v., Paris, 1744) – it nonetheless provided Wolfe with the only substantial body of intelligence about his objective, and Mackellar became one of his few trusted advisers. He sited the British batteries and conducted all preliminary siege operations, despite a serious wound suffered during the attack on the Beauport shore on 31 July, and he devised and tested methods of landing infantry from floating stages. He also advised Wolfe against a frontal attack upon the city and accompanied the general on his final reconnaissance. Immediately after the victory on the Plains of Abraham on 13 September, Mackellar engaged in preparations to besiege Quebec, but its capitulation five days later made these efforts redundant. 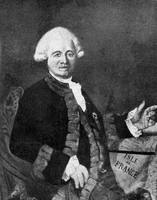 During the autumn of 1759 and the spring of 1760 he strengthened the defences of the city against an anticipated French counter-attack, and had the direction of the artillery in the force under Brigadier-General James Murray at the battle of Sainte-Foy on 28 April. Although critically wounded in the British defeat, Mackellar supervised the defence of Quebec during his convalescence until the arrival of a British squadron in May forced the French to raise the siege. He also participated in the subsequent operations which completed the conquest of Canada. 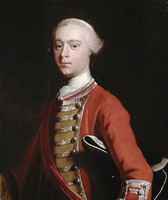 In November 1760 Mackellar was appointed chief engineer at Halifax, where he initiated important works to improve the defences and devoted much time and energy to training troops for siege operations. 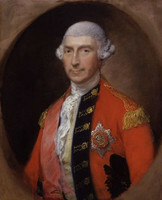 He served with distinction as chief engineer in Major-General Robert Monckton’s expedition against Martinique the following year and in the Earl of Albemarle’s expedition against Cuba in 1762. He was dangerously wounded during the siege of Morro Castle, Havana, and never completely recovered. After the peace Mackellar was posted back to Minorca, where he again worked on improving the defences. He was promoted brevet lieutenant-colonel on 3 Jan. 1762, lieutenant-colonel on 2 Feb. 1775, and director of engineers and colonel on 29 Aug. 1777. His elder son John, who rose to the rank of admiral of the blue, served in Halifax from 1804 to 1810 as agent for prisoners of war and transports and governor of the naval hospital. It is curious that Mackellar, despite a most respectable and distinguished career, was never the recipient of honours. His promotions, however, prove that he was one of the most esteemed military engineers of his generation, and certainly he deserves recognition for his contribution to the British successes in Canada during the final campaigns of the Seven Years’ War. Knox, Hist. journal (Doughty). Frederic Boase, Modern English biography . . . (3v. and 3 supps., privately printed in England, 1892–1921; repr. London, 1965), II, 621–22. DAB. DNB. G.B., WO, Army list, 1758–1836. W. R. O’Byrne, A naval biographical dictionary . . . (London, 1849), 699–700. Roll of officers of the corps of Royal Engineers from 1660 to 1898 . . . , ed. R. F. Edwards (Chatham, Eng., 1898), 4. L. H. Gipson, The British empire before the American revolution (15v., Caldwell, Idaho, and New York, 1936–70), VI, VII. Christopher Hibbert, Wolfe at Quebec (London and Toronto, 1959). Porter, History of Royal Engineers, II, 386–87. Stacey, Quebec, 1759, 44–46, 107–8,129–30. John W. Spurr, “MACKELLAR, PATRICK,” in Dictionary of Canadian Biography, vol. 4, University of Toronto/Université Laval, 2003–, accessed April 22, 2019, http://www.biographi.ca/en/bio/mackellar_patrick_4E.html.